Jack in the Box has joined most other major fast food locations by offering a meal deal promotion outside of their Munchie Meals. This Jack in the Box special includes a Jr. Jumbo Jack, fries, 2 tacos and a drink! It’s quite the bargain and will certainly fill you up. 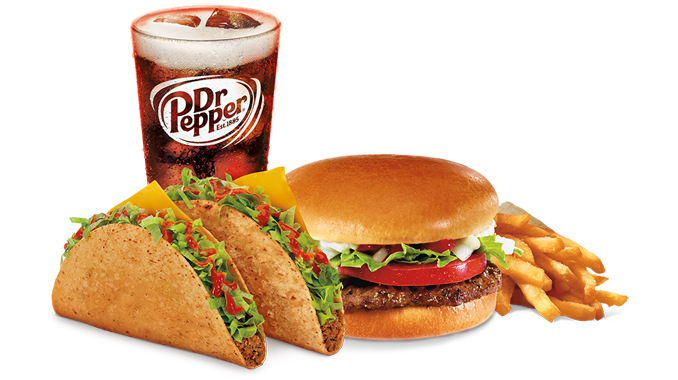 Jack in the Box has so many great value menu items that you can’t help but think that they’ll add more options to their 4 for $4 offering soon. Maybe a chicken sandwich instead of the Jr. Jumbo Jack. Other possible future options include the Jr. Bacon Cheeseburger and double cheeseburger.